Select the Create New Event button upper right corner of your dashboard. 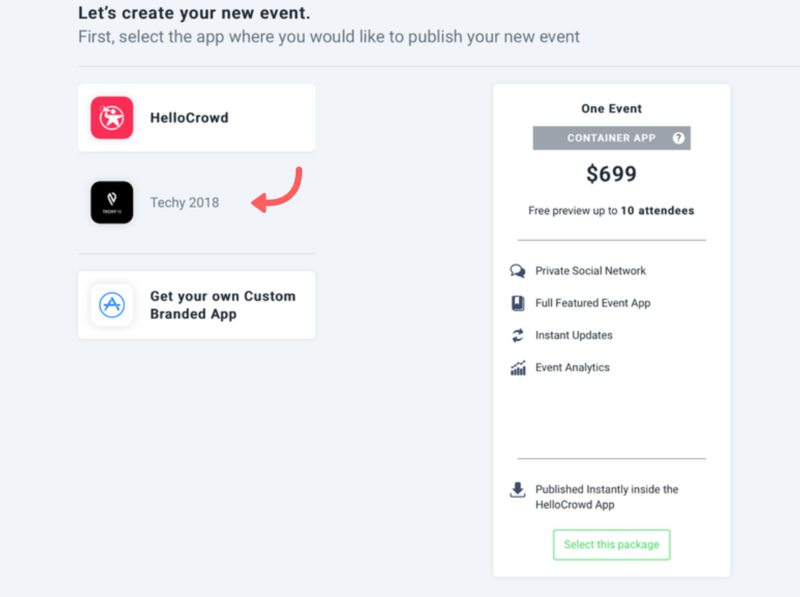 Select your custom multi event app example "Techy 2018". 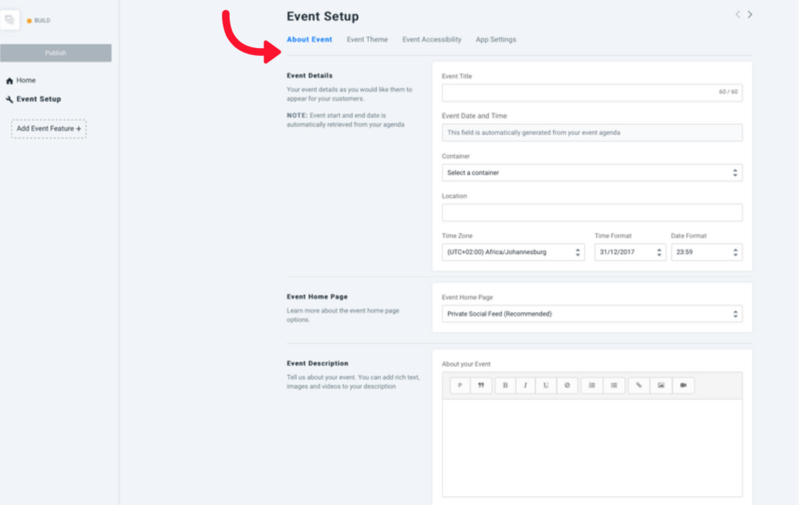 Event Title: This will be the name of your event and delegates/users will search for your event by this name within your Multi Event App. Only 60 characters allowed for the event name. Personalize your event by adding your custom event color or pick one of ours. Event Artwork - We have two options available for event artwork, Standard and Advanced. Standard Artwork - The Standard option requires no design skills and you only need one logo. Uploading your logo will automatically apply for your event icon and splash screen. Advanced Artwork - For the advanced option you can upload a piece of artwork for each of the components required, icon and splash screen. 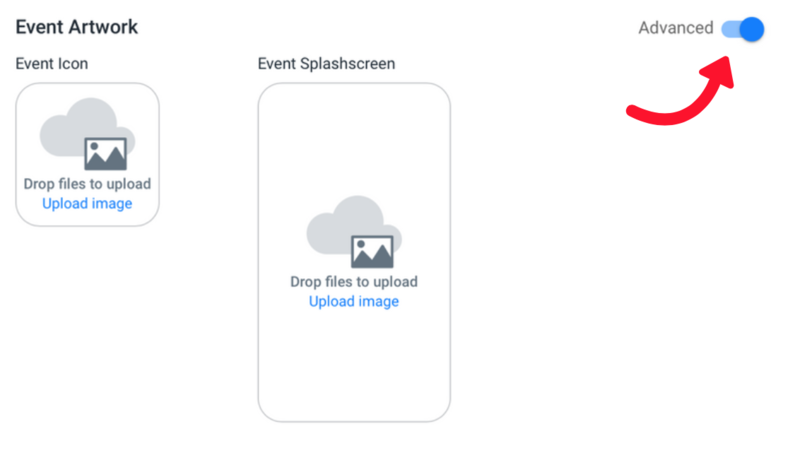 The Event Icon needs to be exactly 1024px wide and 1024px high and the Splash Screen needs to be exactly 1700px wide and 2208px. We have to cater for Tablets and Smartphones, therefore we have text safe area that needs to be adhered to. The template available on your App Dashboard. Select "Publish" once you're ready to go live.